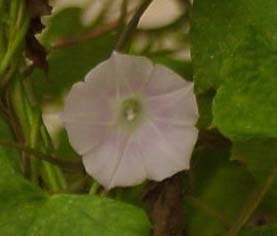 Weak perennial, low climbing or trailing vine with lavender flowers. Found in the lower southeastern Gulf states to Texas. 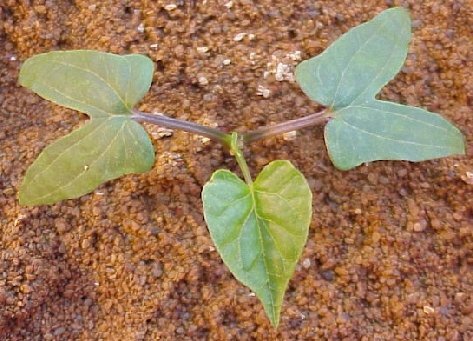 Cotyledons deeply indented, without hairs. With a continuous, untoothed margin, either heart-shaped (cordate) or deeply 3- to 5-lobed, 1 1/2 to 3 1/2 inches long, 3/4 to 2 inches wide, with a long, tapering point and concave sides. 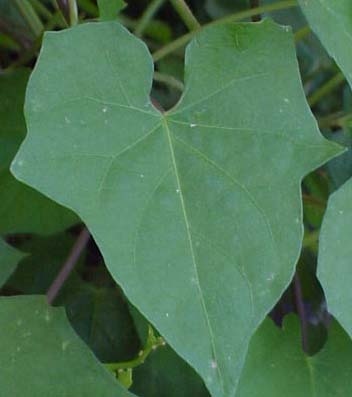 Sepals and leaves without hairs. 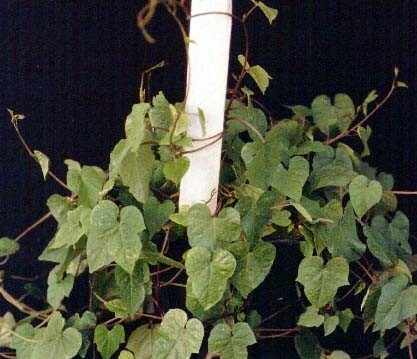 Twining to low-climbing vine, branched, without hairs. Rosy lavender with a dark center, approximately 1 1/4 to 2 1/4 inches long. Small, brown, globoid, hairy capsule, 6-9 mm broad. At first a conventional taproot, overwinters from a long-lived, branched rootstock. 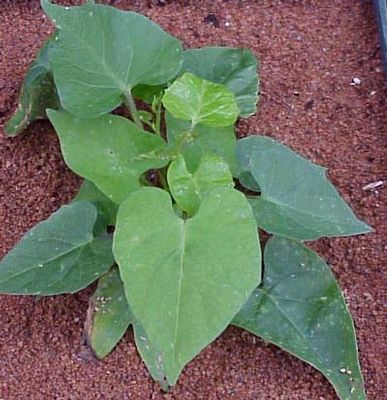 This weed is often confused with sharppod morningglory (Ipomoea trichocarpa). 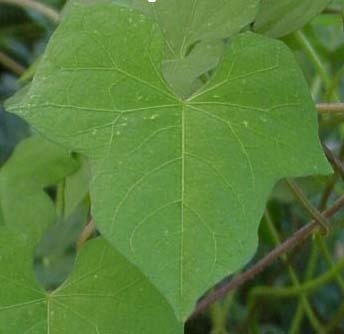 However, sharppod morningglory has sepals, leaves and stems that may be pubescent, while these areas are not pubescent in cotton morningglory.